I went to Sam’s last week because I needed butter, coffee and chocolate among other things but these were top priority. I noticed everything was a little pricier than normal, a pain I’m sure you too are familiar with. Then I got to my beloved butter……shitake mushroom! It was over ten dollars! The 4 pack I’ve religiously purchased for years that began about 7.49 had climbed to over 10 bucks! I was going to get a couple of them but decided on just one. 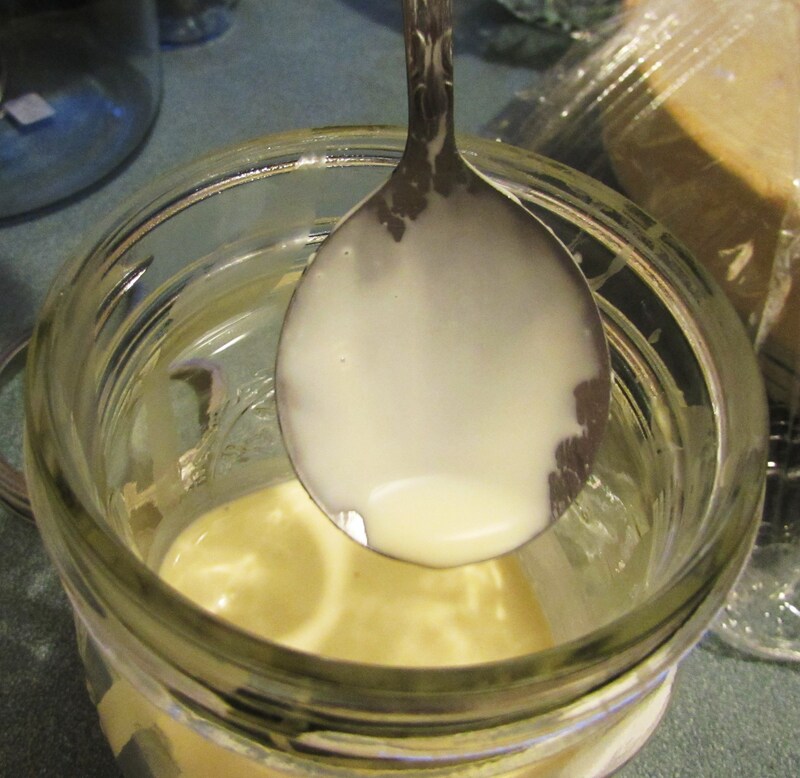 Thankfully I have a friend who milks her own cows and blesses me with milk that when left to sit overnight produces an enormous amount of cream. She showed me how to make cream into butter in about 5 minutes. Thus I have decided what started as a novelty will now become routine. You can too! 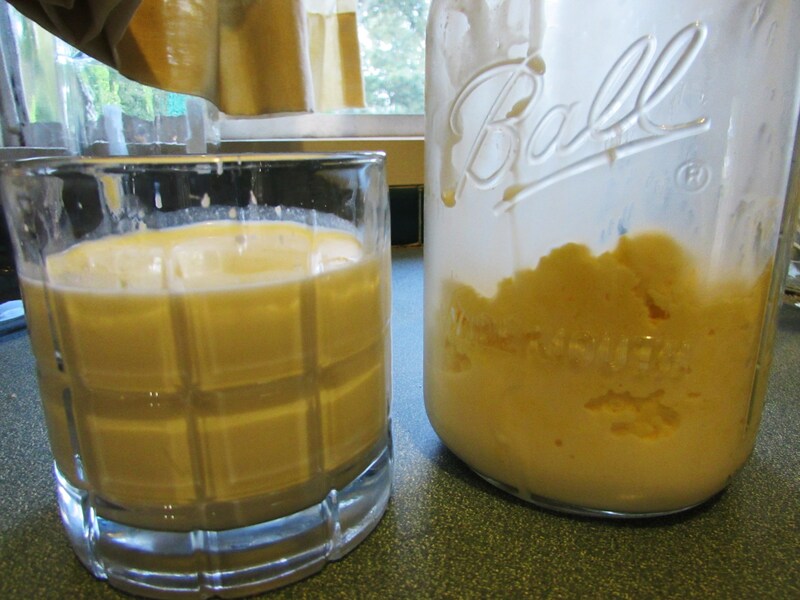 Let your raw milk sit in the fridge a day or two undisturbed. This allows the cream to get up top and thicken a bit. 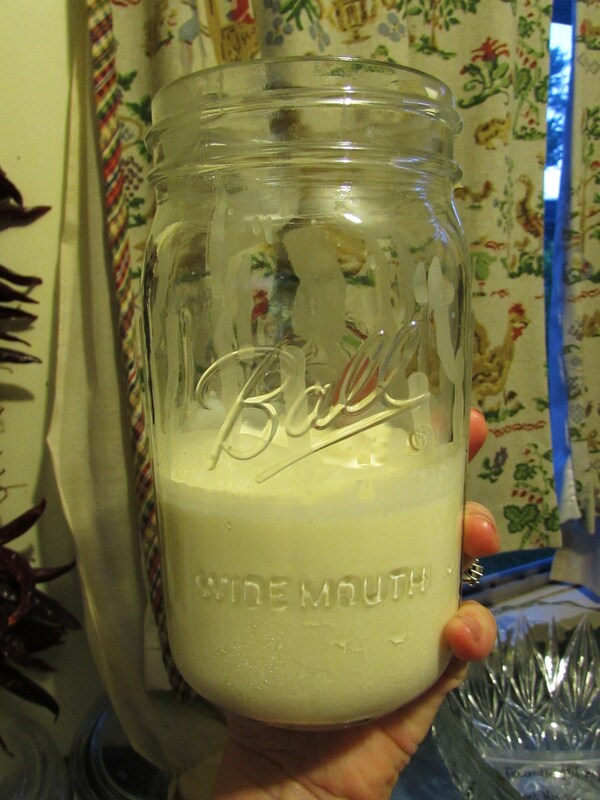 If you don’t have access to raw milk, I’m so sorry! Try and find some quickly! 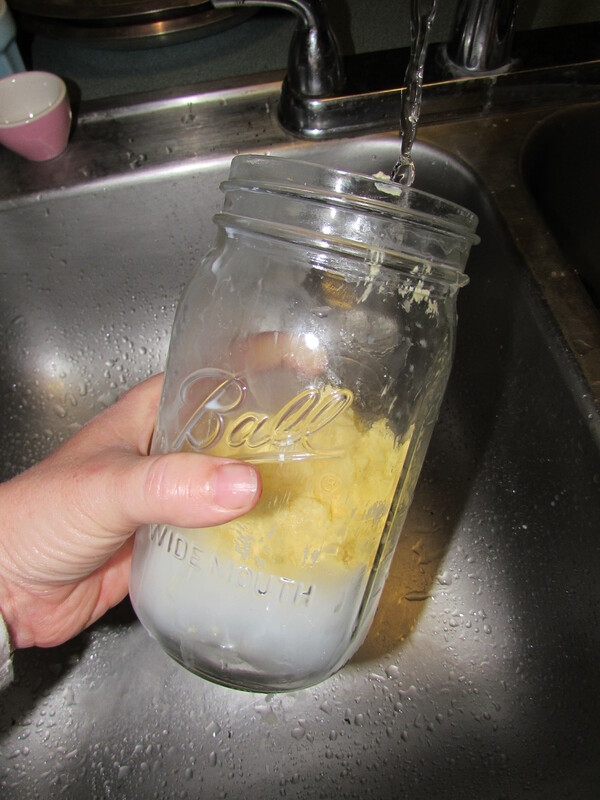 Skim the cream off the top, pour into a mason jar and seal it up tight. Set it on the counter and let it come to room temp. I leave mine out overnight. 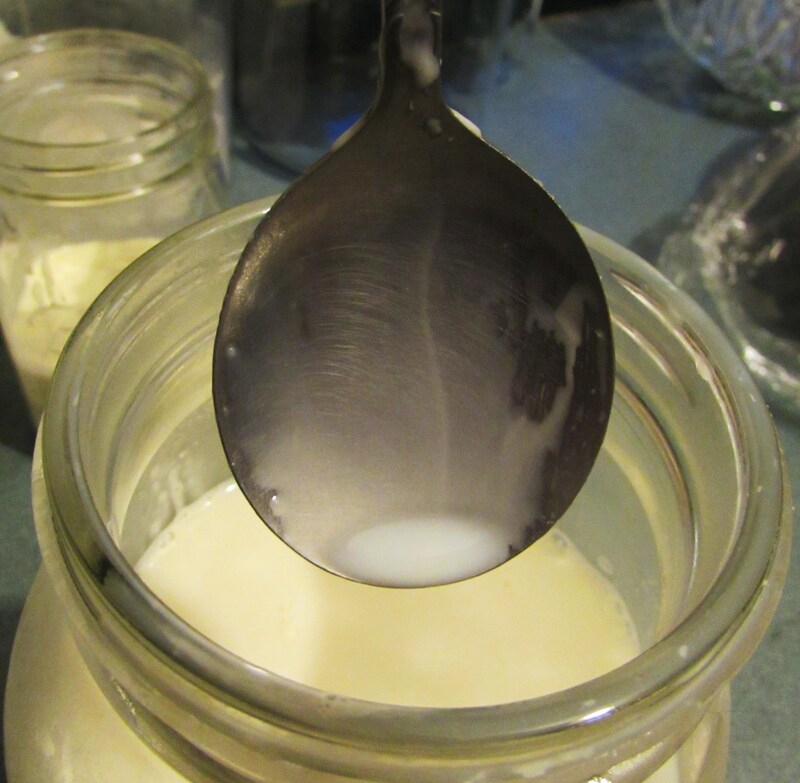 Here you can see the cream vs milk thickness…. The next morning I start shaking. Just shake. Shake. “You’ve got to shake, shake, shake! Like you’re changed, changed, changed!” Know the song? It’s by Mercy Me. It’s great for making butter, I know it was written for Jesus but I’m pretty sure he won’t mind if you use it here. So, just keep shaking and in just a few minutes you will notice it feels a little different, keep going and suddenly you feel something quite solid bumping the sides of your jar. Swirl it around and you should see lovely bright yellow butter bits floating around. Well, they may or may not be bright yellow. This depends on the cows diet, in the winter when there is no green grass the butter will be very pale but when spring rolls around, ta da! 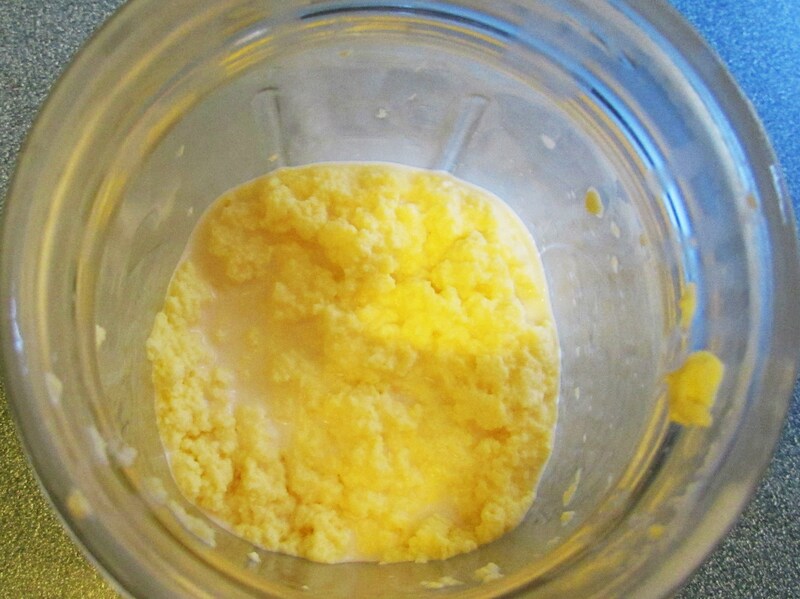 Bright yellow butter! Good magic, like Glenda magic. Is it Glenda or Glinda? Whatever. The good fairy magic. 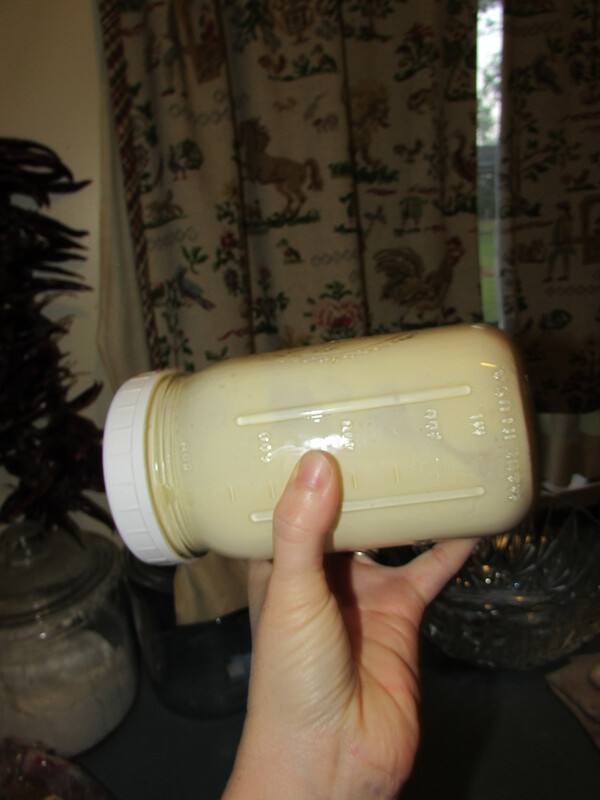 Carefully drain off the leftover cream and guess what?! You have buttermilk! Bona Fide Buttermilk and Butter! 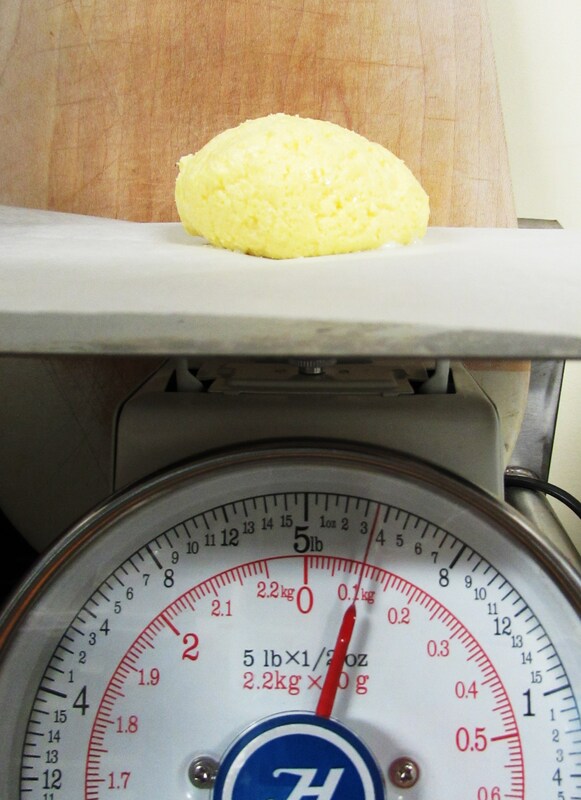 Gently run cold water over the butter to rinse it off, do this until the water is clear. Take your time when rinsing the butter, keep the water nice and slow. 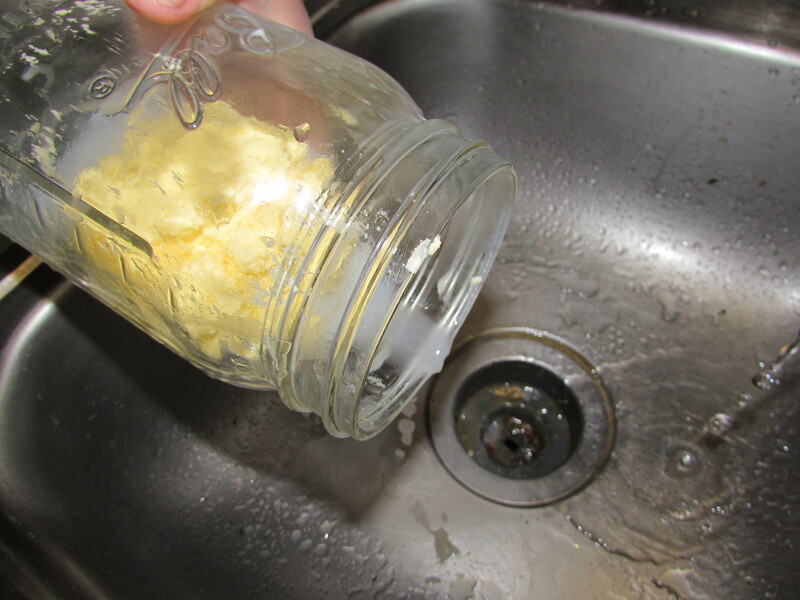 Drain off the water and repeat a few times, don’t drop the butter in the sink! 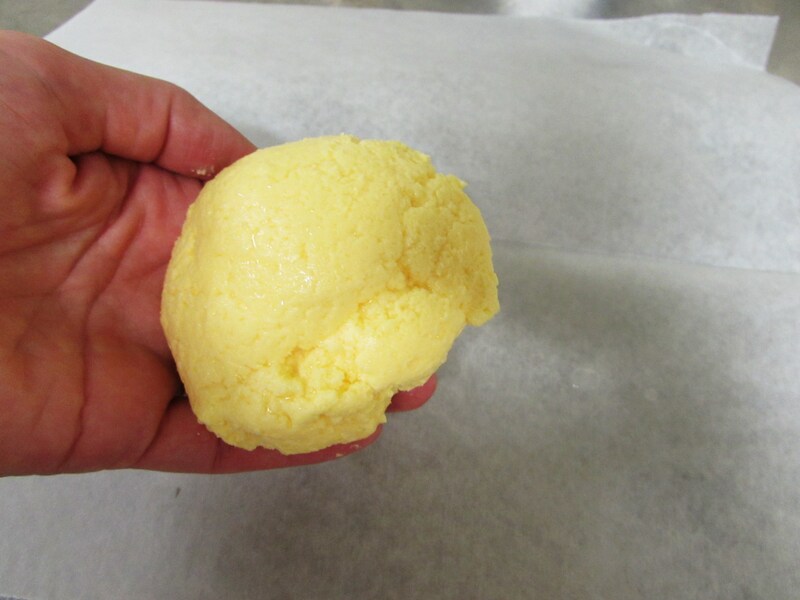 Wrap your butter in some wax paper, stick in the fridge and enjoy! That’s about it folks, easy peasy and so much fun! 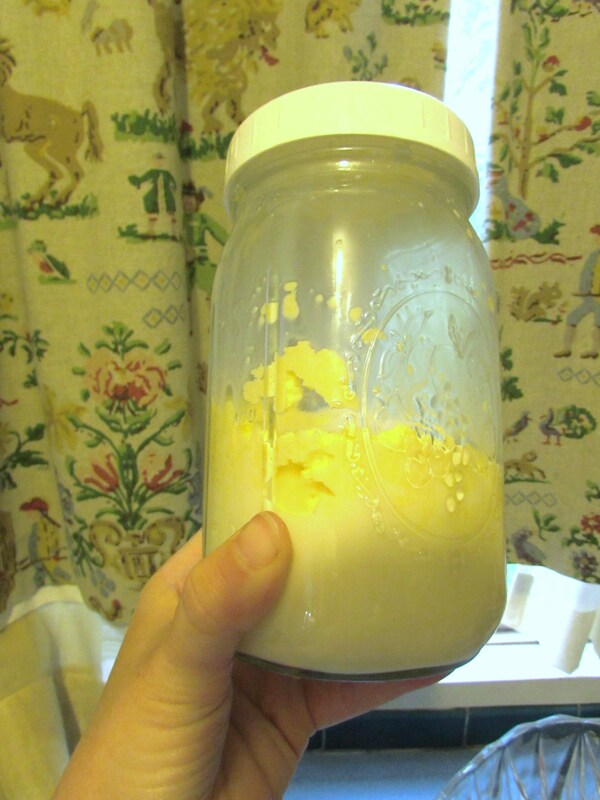 This a great craft or homeschool project to do with kids as well, Addie and I love making butter together! 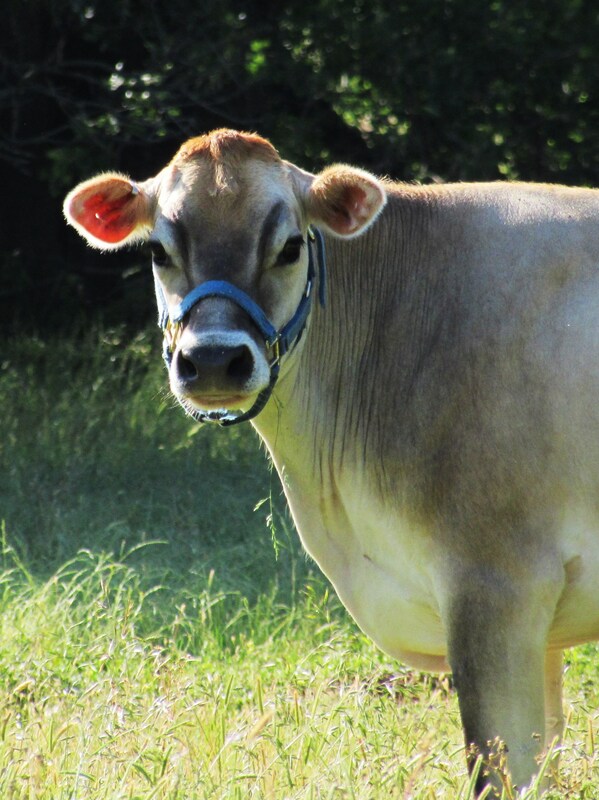 One of the cows whose milk my family consumes and loves. I think she is ‘udderly’ wonderful! It is SO much fun! I think you could do it with plain heavy whipping cream from the store but I’ve never tried.